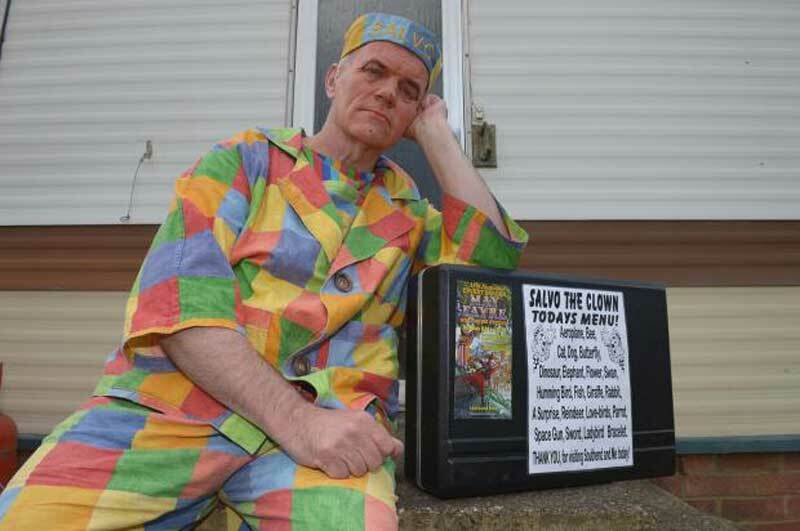 A clown is contemplating his future after being robbed as he performed to families in Southend High Street in Essex. Salvo the Clown, a regular sight in the town centre, was entertaining shoppers when he was approached by a man and a woman. Salvo, who has asked not have his real name revealed , said he recognised the man as he had been verbally abused by him on several occasions previously. He added: “He came up to me and said ‘I’m going to take some of your money’. “The lady who was with him dropped down to my case to take the money out. I tried to stop her by putting the lid down. The next thing I knew I was on the deck.” Salvo, from Thundersley, said he did not know how much money was taken. He sometimes earns as little as £5 a day. The clown said: “All I know is money went flying everywhere and I fell flat on bum. I had a bruise there this morning. It’s just sad that it’s happened. It really shook me up and upset me. I have been down the High Street since Spring bank holiday 1997. It’s my only source of income. The incident happened outside McDonalds. A witness, who asked not to be named, said the thugs had a Staffordshire bull terrier with them, and could be heard shouting at Salvo. She said: “The woman pushed him to the ground and was shouting about something. He’s been there forever, it’s a real shame. He was quite shaken up. He said his arm was hurting and I just felt really sorry for the guy.” She described the pair as being white and aged in their forties. 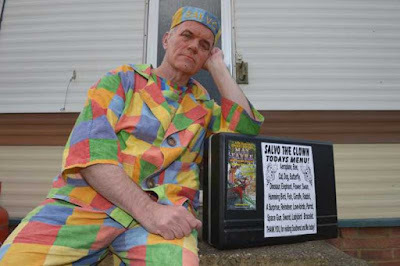 An Essex Police spokesman said: “Police were called to Southend High Street following reports that a clown working as a street entertainer had been assaulted. It is alleged that a woman tried to steal money from his collection plate before pushing him over.” Anyone with information can contact Essex Police.